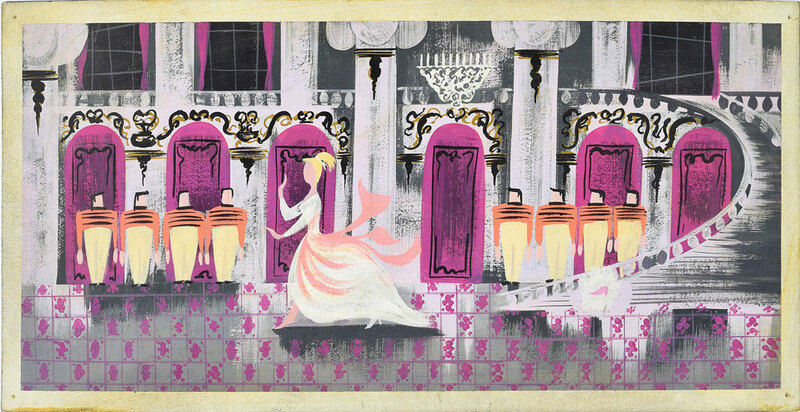 Mary Blair concept painting from Cinderella. Offered by RR Auction. Our August Fine Autographs and Artifacts auction featured more than 1,200 items, including 73 featured items across categories, and two special featured sections: World War II and Animation, with 82 and 194 items, respectively. The auction featured many WWII uniforms in remarkable condition, including many bomber jackets. The Animation section boasted a large cache of original concept art from Walt Disney Studios. See this auction’s Remarkable Results! RR works with lifelong animation fan and expert Harry Kleiman, to bring the best of this art form to the market. For more than half a century, Harry has been a passionate collector of the genre, with a special love for and expertise in Walt Disney’s classic illustrators. From the famed Disney “Nine Old Men” to the groundbreaking women like Mary Blair, Harry is an expert in all things animated. Many of the items in our Fine Autographs and Artifacts auction garnered international press attention. From historic handwritten letters, to rare Disney concept art, the world was watching this auction.